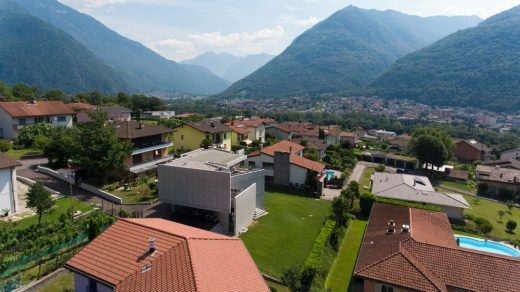 The project site lies in the area of urban expansion at the limit of the countryside, north of the historical centre of the village of Preonzo in the Italian speaking part of Switzerland. The design is an articulated construction meant for the enjoyment of the spaces for many years to come. 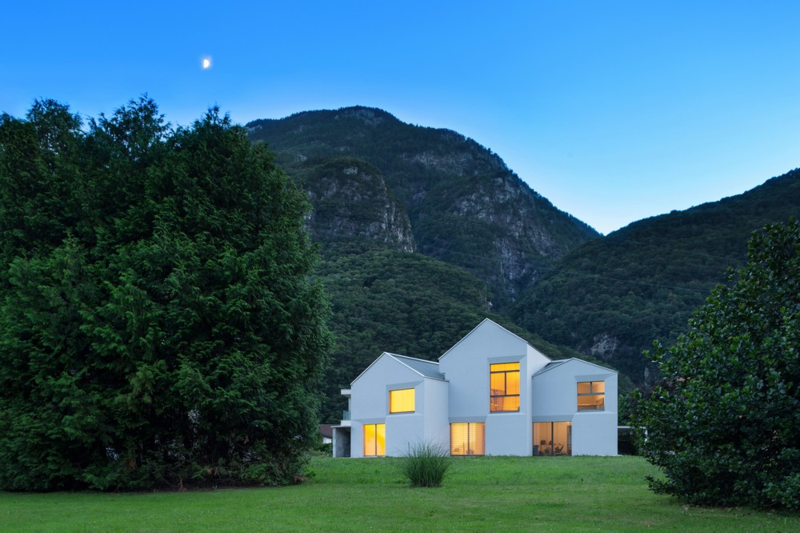 From afar the building is a marker in the landscape, it expresses a meaning already suggested by its context. From close up, it is a collection of many things and from within, a world, that changes with the passing of the hours of the day and the days of the year.